The CHS Archive and Schoolhouse will be opening this Memorial Day weekend with the normal seasonal hours on Friday and Saturday from 11:00 AM to 1:00 PM. This year we will also be open on Sunday morning from 10:30 AM to Noon before the Memorial Day Parade begins. Please stop by and enjoy the Charlestown Naval Air Field (CNAF) WWII exhibit which commemorates Charlestown's presence during the war. New period airplane models and photographs are on display. We are excited to report that the 1732 Card House Presidential stencil murals are now undergoing restoration right here in Charlestown. 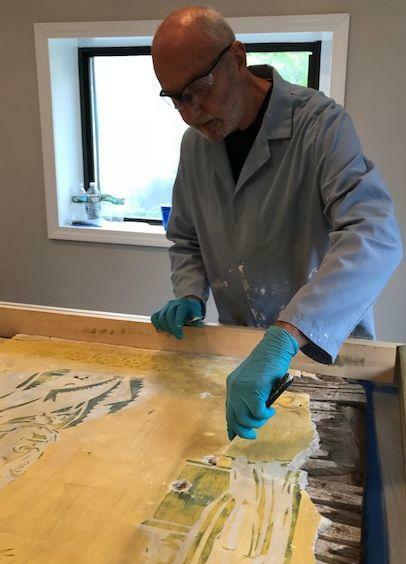 All three of the conservators (affiliated with the American Institute of Conservation in Washington, DC) bring both national and international experience to this project. They will be performing plaster reconstruction and repair, structural support and display presentation, as well as cleaning of the antique artwork. We plan to present these two rare pieces of American history in the Charlestown Town Hall Council Chamber by the end of June for the public to enjoy. This project has been generously underwritten by The Champlin Foundation. We would like to take a brief moment to thank you, our membership, for your support this Spring with dues and donations. 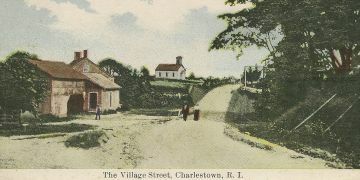 Your support allows us to provide not only you but also Charlestown's visitors with increased awareness of our town's history. It also enables us to maintain our Archive and Schoolhouse. 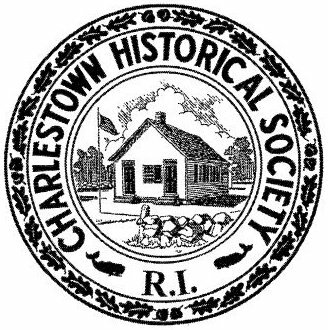 The Charlestown Historical Society is a 501(c)(3) nonprofit organization registered in the State of Rhode Island and Providence Plantations.